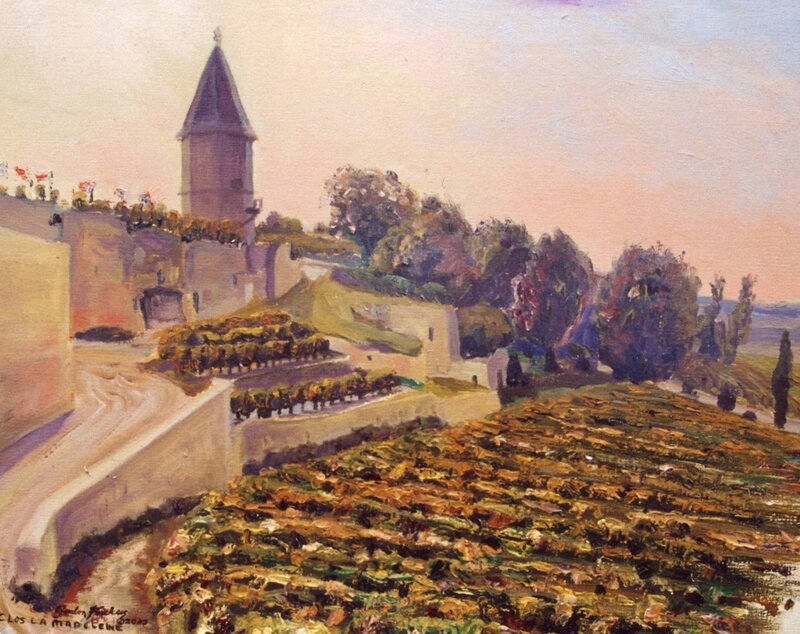 one of the most distinctive chateau of Saint Emilion this study of the picturesque Clos La Madelaine was painted ‘plien aire’. Clos La Madelaine offers us some of the most distinctive wines of St.Emilion from one of the foremost chateau. I have visited Clos La Madelaine several times, always a good sign! The Cave of the Château is sometimes open for the public, worth checking out. 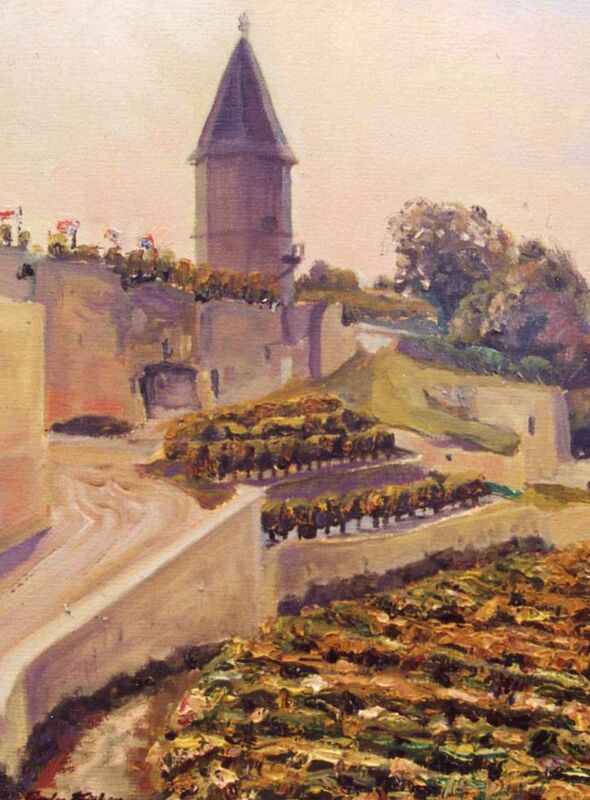 These hospitable owners used to encourage sampling & learning about the fine wines of this great château, times change the chateau is less accessible now.